The Rite of Christian Initiation is designed for adults who, after hearing the mystery of Christ proclaimed, consciously and freely seek the living God and enter the way of faith and conversion as the Holy Spirit opens their hearts. By God’s help they will be strengthened spiritually during their preparation and at the proper time will receive the sacraments fruitfully. At St. Jerome the RCIA is an opportunity for people interested in the faith to encounter, experience and learn more about Jesus Christ and his Church. Conversion is the work of the Holy Spirit and that small whisper we hear in the silence is his voice. 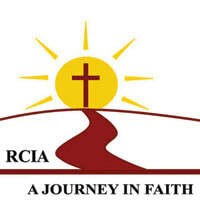 We who make up the RCIA team are here to accompany and assist those interested in making this journey of discovery. It is our prayer that that all who embark upon this way, would meet the risen Christ and develop a relationship of love with him. In the process come to know the joy of living a life in Christ and know the peace that only he can bring. So, we invite you to come and see! If you have heard that small whisper and are inclined to check it out, know that we are here to accompany, not coax, to accept not judge and to walk with you not to sign you up. God’s love is free and available to all and there is a place at the table for all who answer the call. We hope you will join us on this incredible journey. We invite anyone in our parish to join us for any of the topics we will discuss that you might want to learn more about or maybe just are curious about. Sat. April 27 - 5:30 Mass Full Communion, meet at 5:00PM. Mass is followed by a reception in the Parish Center. Bring family members; people in the Church will be invited.